Who: This school is for physics PhD and post-doctoral researchers working in the area of quantum technologies. Where: Old Thorns Manor Hotel, Liphook, Hampshire, GU30 7PE. Free to attend. Accommodation is provided at the Old Thorns and rooms are en suite twin-bedded rooms (2 people sharing). Travel expenses to and from the venue can be claimed through SEPnet. A shuttle taxi service will be provided from Liphook station to Old Thorns on Monday morning and Wednesday evening. PGRs and Postdocs from the SEPnet institutions should register via the VRE here. Registration deadline 20 March 2017. What: A 3-day residential workshop led by senior researchers in the SEPnet region comprising lectures, tutorials, seminars and other activities. This school aims to expose PhD students interested in applications of physics which directly rely on the properties of quantum mechanics to perform a function beyond current technological capability. Sometimes such a device is described as a “machine” whose dynamical degrees of freedom obey Schrodinger’s equations, thereby employing the principles of superposition and entanglement to achieve its task. In addition, the School will explore key enabling technologies. Speakers: Erika Andersson, Heriot-Watt University, Sugato Bose, University College London, Andreas Freise, University of Birmingham,Eran Ginossar, University of Surrey, Jaewoo Joo, University of Surrey, Richard Josza, University of Cambridge, Pieter Kok, University of Sheffield, Stefan Kuhr, University of Strathclyde, Tobias Lindstrom, NPL, John Morton, University College London, Yuri Ovchinnikov, NPL, Diego Porras, University of Sussex, Alessandro Rossi, University of Cambridge, Tim Spiller, University of York and Seb Weidt, University of Sussex. Organisers: Dr Eran Ginossar (Surrey), Prof Winfried Hensinger (Sussex), Dr Elinor Irish (Southampton), Dr Silvia Bergamini (Open University), Dr Tobias Lindstrom (National Physical Laboratory). This workshop contributes 20 hours towards physics skills training. This year’s Winter School, entitled “Building your leadership potential”, took place on the 13-15 February 2017 at Cumberland Lodge. 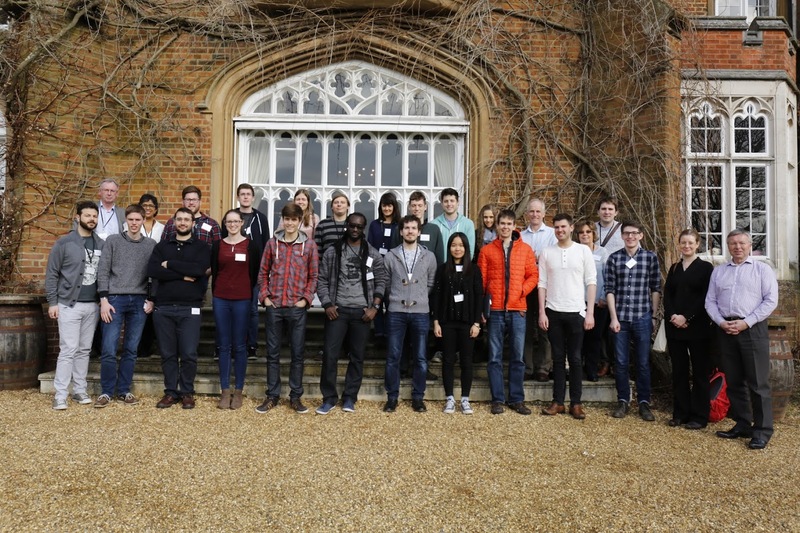 The former royal residence set in the heart of Windsor Great Park was host to 21 postgraduate students who enjoyed being immersed in its fascinating history dating back to the 17th century. The core activity involved Columbia’s fatal final mission. The multi-media case tracks the Columbia Space Shuttle mission from launch as NASA engineers and leaders sought to understand the nature and threat associated with an anomaly that occurred on launch. Participants were given an opportunity to analyse the case using materials supplied by NASA under the guidance of Dr Trevor Long, Consultant. Dr Stephen Haywood, Leader of the ATLAS Collaboration, STFC Rutherford Appleton Laboratory and Dave Harrison, Galileo KMF Project Manager, CGI Group, gave their perspectives on leadership styles from an employer’s point of view. Prof Pam Denicolo, University of Reading, Dr Julie Reeves, University of Southampton and Dr Laura Christie, Royal Holloway University of London presented the Belbin Model and sessions on developing personal leadership awareness and skills. Students also enjoyed the recreational activities available in the games room in the cellar at Cumberland Lodge as well as the historical ghost tour which took place in Windsor town centre. Delegates, trainers and SEPnet staff at Cumberland Lodge. Soapbox Science needs female Physicists! Want to share your passion for your work with the public? Have you ever wanted to stand on a soapbox and talk about your research to passers by? Now is your chance! Soapbox Science is looking for physicists who identify as female to register! 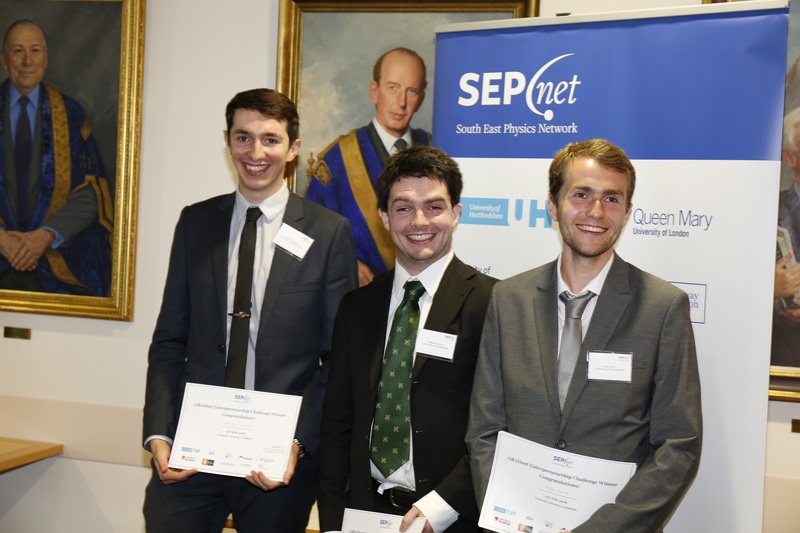 With Soapbox Science, everyone has the opportunity to enjoy, learn from, heckle, question, probe, interact with and be inspired by some of SEPnet’s leading physicists. No middle man, no powerpoint slide, no amphitheater – just remarkable women in science who are there to amaze you with their latest discoveries. Sign-up here. Deadline is Friday 24th February. SEPnet Outreach officers will be able to help prepare material for the event. 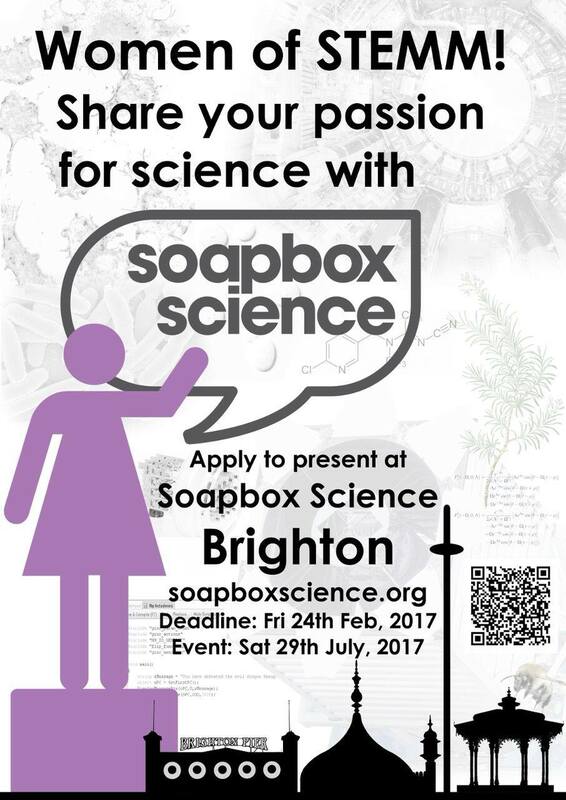 SEPnet Outreach is sponsoring this year’s Soapbox Science Brighton. Shattering Stereotypes is looking for Physics graduates in the South East! As part of our Shattering Stereotypes project, we are looking for Physics graduates in the South East area who have had all sorts of careers since graduating. As part of the project we are hosting a careers evening at our five partner schools. To make these evenings successful, we need you! If you’re now working in anything from finance to accountancy, or working in the energy sector to those in healthcare or government, SEPnet needs your help! We are looking for Physics graduates from diverse backgrounds, across all ethnicities, genders and sexuality. Sign up to help at one or more of our careers evenings. They are located around London, with one school in Guildford. The entire evening, which will include training from one of our SEPnet Outreach Officers, will only last around two hours. We are hoping to run the evenings as one-on-one sessions between you, the students and their parents / carers. This way they can ask you individual questions about the type of work you do and the type of scientist you are. What are different types of Scientist? As part of the project, we are introducing the term scientist to include all those who studied science at university. This includes you. In particular we are introducing students to the 12 Types of Scientists. These were introduced in a previous project from SEPnet and WISE called People Like Me. We are looking to match with students who have similar types to you. When are the careers evenings taking place? Monday 6 March, Overton Grange, Sutton. Thursday 9 March, St Peter’s School, Guildford. Monday 20 March, Lampton Academy, Hounslow. Thursday 30 March, Preston Manor, Brent. Thursday 9 May, Charles Darwin School, Biggin Hill. What if I can’t make any of the sessions? We are more than happy to let you know about future Shattering Stereotypes events where you can help. We would also like to feature some Case Studies on our websites and posters, so even if you can’t make it, you can still help us out! Shattering Stereotypes is a pilot project that is being externally evaluated including measuring what messages students are getting from the project. We would be more than happy to share our final report with you towards the end of 2017. Be a part of this innovative project and help us find out what messages work. Sign up here and forward this page to any of your Physics graduates friends who may also be interested. More details about Shattering Stereotypes can be found here. Any additional questions, please e-mail outreach@sepnet.ac.uk.